As a music journalist, I have had many opportunities to have aside conversations with artists about their favorite concert halls. While everyone mentions the acoustic of places like Severance Hall, for example, most add that they can also feel the ghosts that inhabit these storied venues. Without question one of the most iconic halls in the United States is Carnegie Hall, and on Saturday, January 19 the Oberlin Orchestra and College Choir will perform among the ghosts of Tchaikovsky, Dvořák, Mahler, Bartók, George Gershwin, Billie Holiday, Benny Goodman, Judy Garland, and The Beatles, to name only a few. 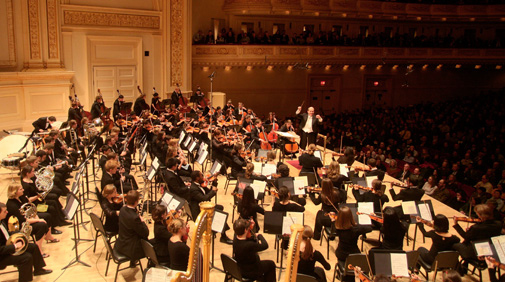 To view the full roster of Carnegie Hall ghosts, click here. 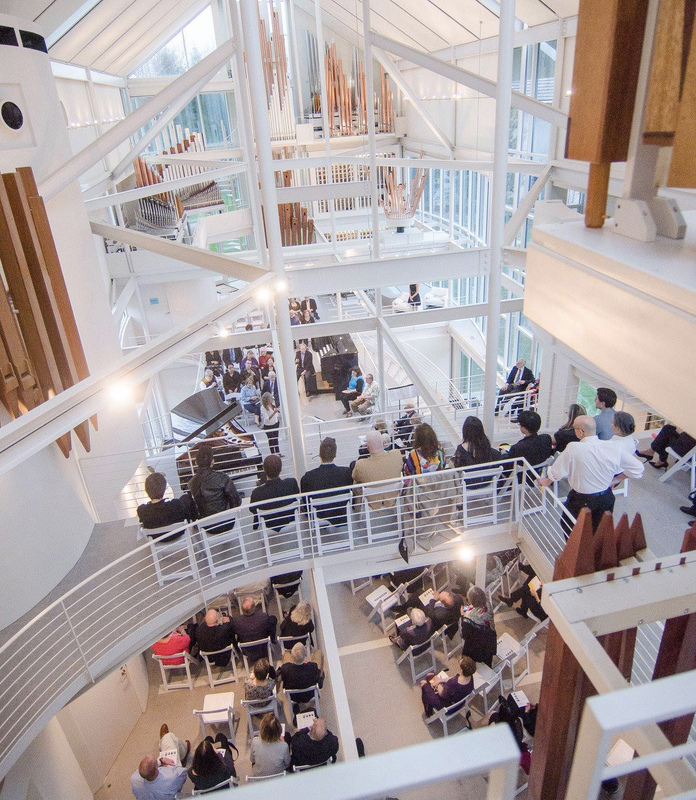 You can hear a preview concert by these Oberlin ensembles on Wednesday, January 16 at 7:30 pm in Finney Chapel. Gregory Ristow will lead the Choir in Tarik O’Regan’s Triptych and Stravinsky’s Les noces, and Raphael Jiménez will lead the orchestra in Elizabeth Ogonek’s All These Lighted Things (three little dances for orchestra) and Debussy’s La Mer. Click here for the live webcast. 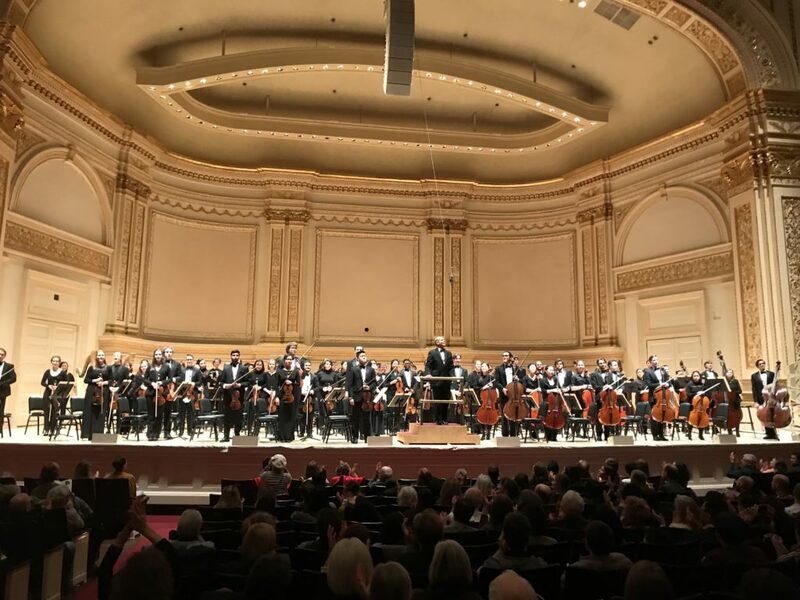 Apollo’s Fire brought the house down and the heart rates up at their Carnegie Hall debut last Thursday, March 22 at the venue’s cozy Zankel Hall in New York City. 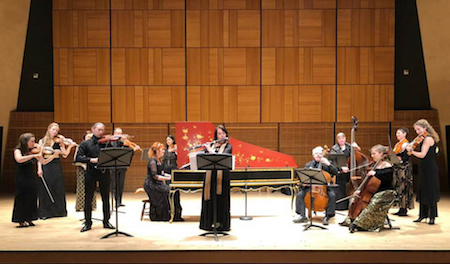 The highlight of this “Evening at Bach’s Coffeehouse” was the closer: a thrilling, caffeinating performance of Vivaldi’s “La Follia” Sonata for Two Violins and Continuo, arranged by artistic director, conductor, and harpsichordist Jeannette Sorrell for this Cleveland-based Baroque orchestra. 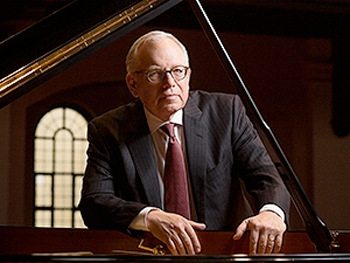 On Sunday, October 18 at 2:00 pm, pianist Peter Takács will present the first of three recitals titled The Beethoven Experience in Weill Recital Hall at Carnegie Hall as part of the new Key Pianists concert series, conceived by pianist Terry Eder to fill a void in New York concert life.